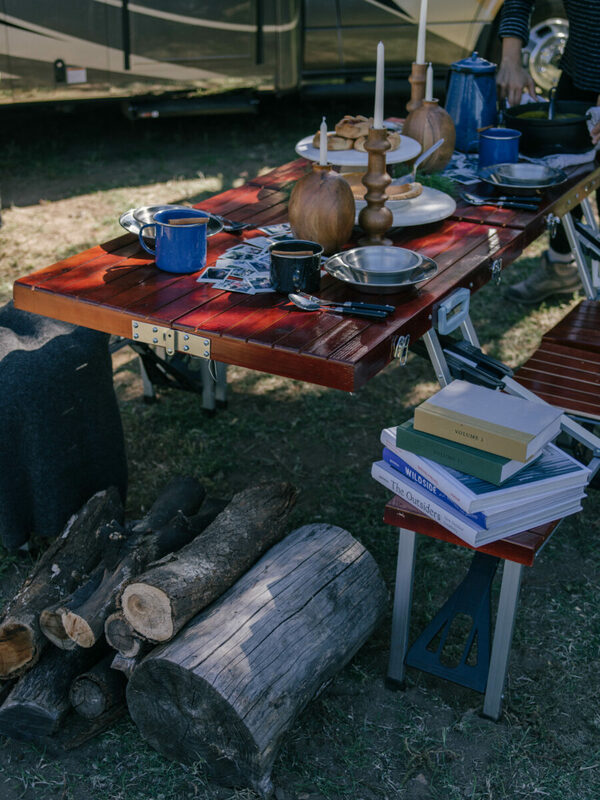 Will you, your RV and loved ones be sharing your Thanksgiving meal around a picnic table this year? 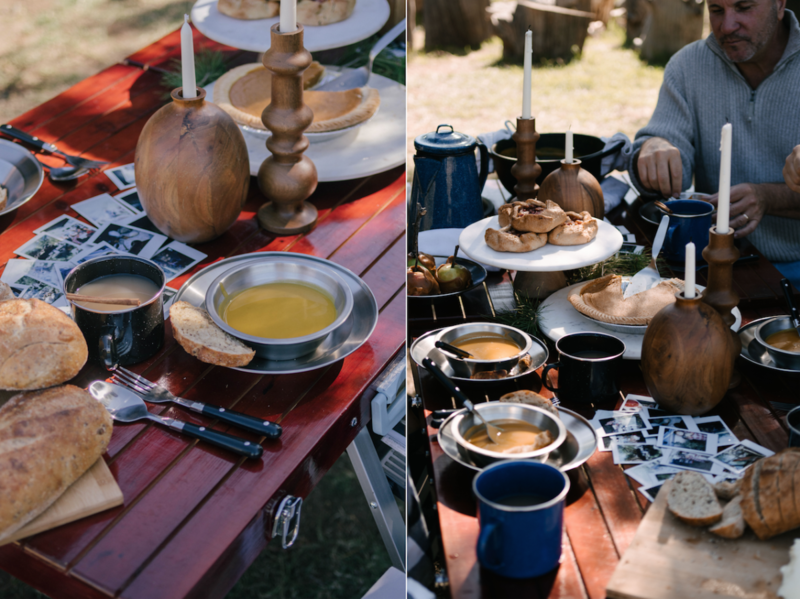 Are you looking for ways to create the ultimate campground Thanksgiving experience? 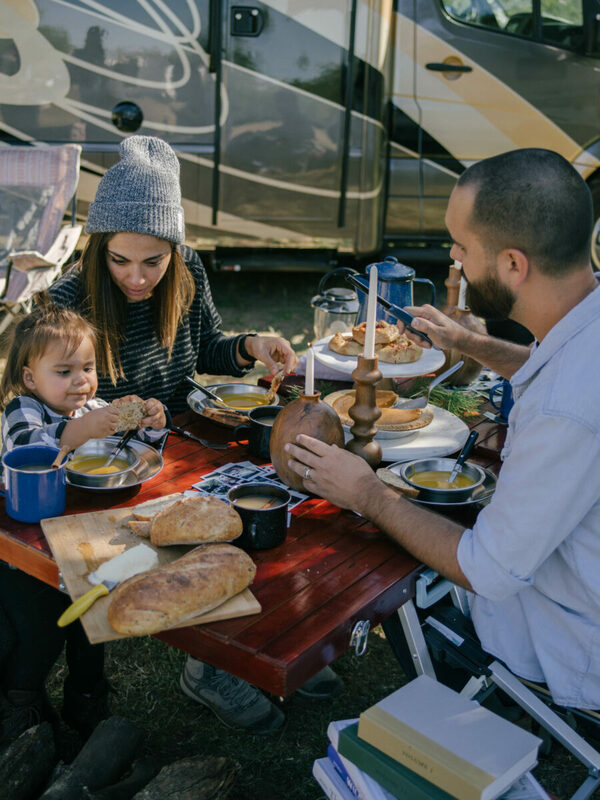 For all of our holiday road warriors, we’ve compiled a list of ways to make this Thanksgiving extra special at your campsite. From including your neighbors to a delicious dessert DIY that is perfect for the little ones, we know you’ll have the most enjoyable Thanksgiving by adding these simple, special touches. Check out the list below! 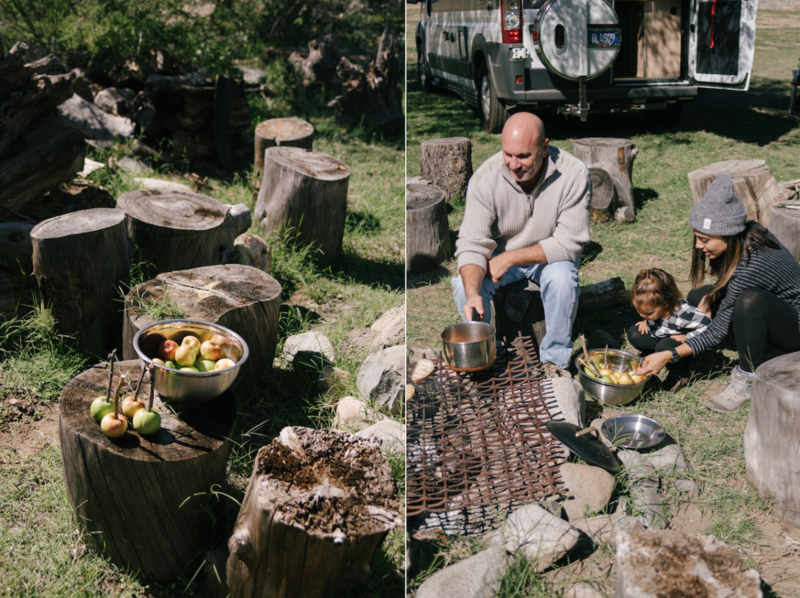 Turn Thanksgiving into Friendsgiving by inviting a campground neighbor. 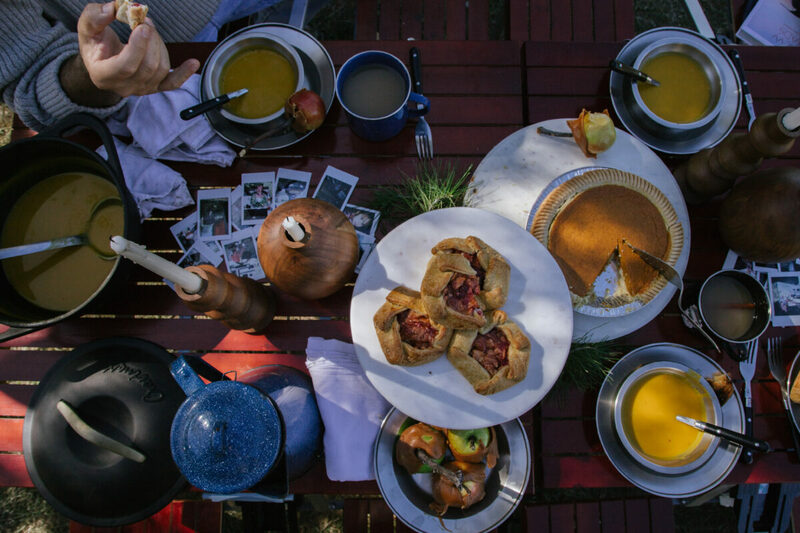 What is better than sharing a meal that is centered around being thankful then doing it with fellow travelers? On a day where it’s common practice to think about yourself and your family, take a moment to invite those that may not have someone special to share the holiday with. The gift of friendship is one of the most important gifts we can give. 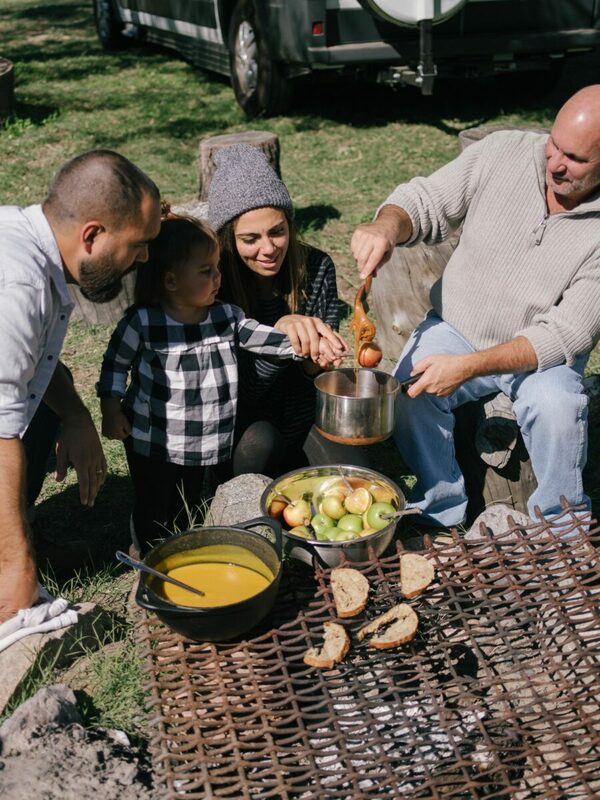 Encourage your neighbors stop by with a dish and share travel stories around your Thanksgiving fire. Do you print out your photos or travel with a Polaroid camera? 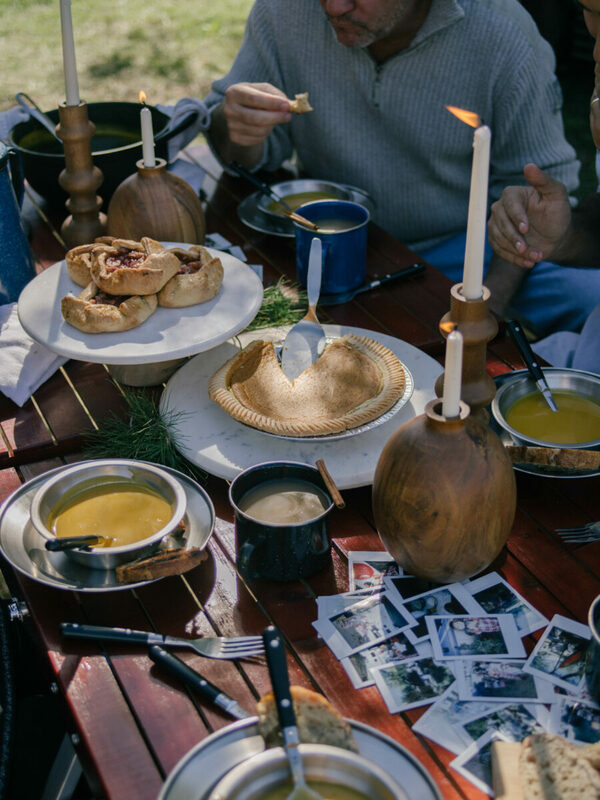 Dress up your table with photographs that you and your family members have taken throughout your travels. These images will be a great reminder of all you’re thankful for and can act as a great conversation starter. Pro Tip: if you don’t already own an instant camera for your travels, we highly recommend getting one. While reminiscing on past memories at the table, make new ones by keeping out your polaroid for the night. Not only does everyone love a good selfie, but the photos can serve as a special memento for your guests and family members to take home and cherish for years to come. During dinner, keep your notebook nearby. Go around the table and ask everyone what they are thankful for this year – be sure to jot down the responses. Turn the sharing into a new tradition by bringing your notebook with you every Thanksgiving. Share what each person said the year before and write down what they’re thankful for this year. It will be amazing to look back on what everyone said five, ten, twenty years down the line! If you’re anywhere but the south, your Thanksgiving might be a little chilly. Have a guest that doesn’t know what to bring and isn’t too fond of the kitchen? No problem! Have them supply blankets, firewood and hot cider for good measure. The blankets will be perfect for both decor and warmth. There are always items that aren’t food that your guests can bring to enhance the celebration (games, drinks, etc). If you’re playing host, don’t be afraid to ask your guests for help, even if it expands beyond cooking. 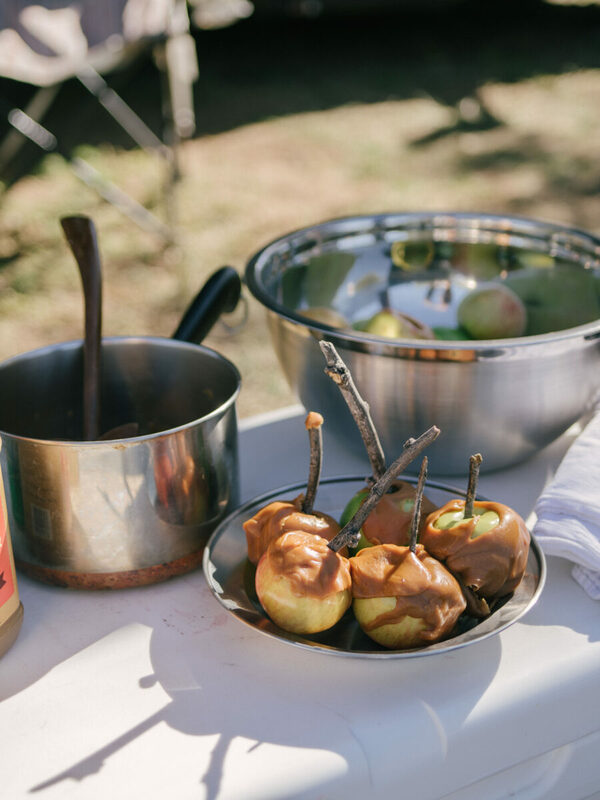 Make cooking easy and get everyone involved with these DIY caramel apples! Pick up your favorite apples and store-bought caramel (because sometimes shortcuts are the way to go) and have your kids go to town! The activity is perfect for children and adults alike. 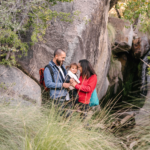 Make memories that will last a lifetime with those you love with this simple activity. We want to wish all of you a very happy Thanksgiving! 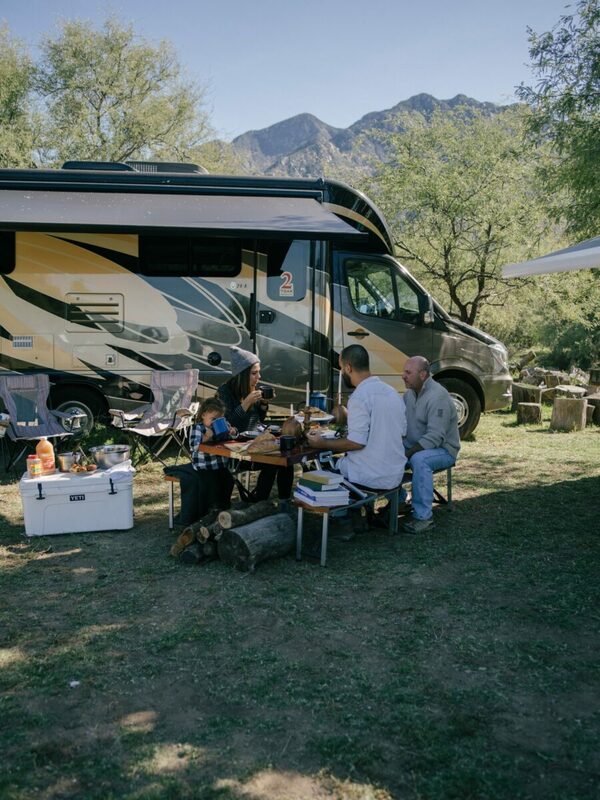 If you’re looking for organization tips this holiday season, check out our 5 Tips on How to Get the Most Out of Your RV Refrigerator Space and be sure to let us know where you’ll be spending your Thanksgiving on the road in the comment section below. 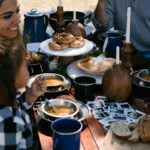 Hey Buddy!, I found this information for you: "How to Create the Best Campground Thanksgiving". 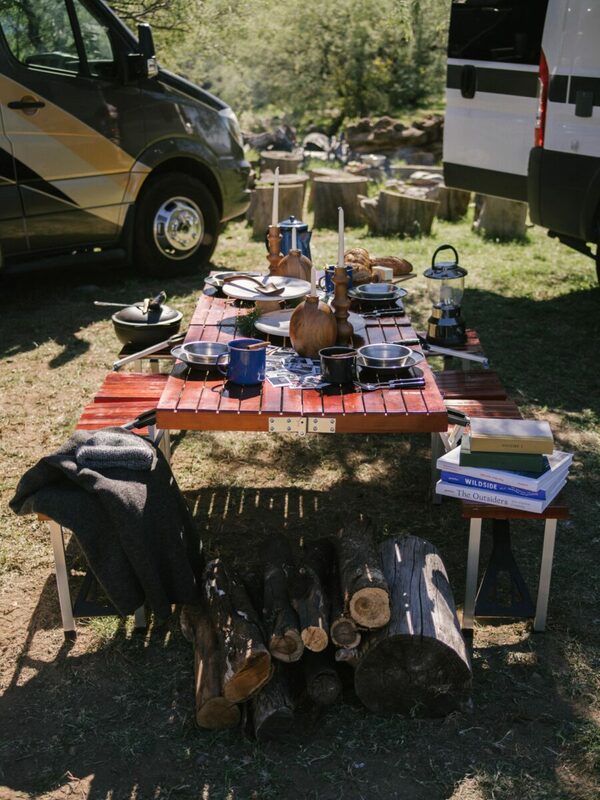 Here is the website link: https://experiencelife.lamesarv.com/2018/11/how-to-create-the-best-campground-thanksgiving/. Thank you.